Film genres are used to categorize movies based mostly on plot lines, but also taking style, setting, and characters into consideration. Genres can overlap, and many movies fall into more than one broad category. The following genres are the most common ones used to classify films. Action movies include the heart-pumping, high-energy scenes that get people talking long after the film has finished. Some typical elements of action movies include brawls, car chases, natural disasters, and martial arts. Like some other genres, the plot of this type of film usually revolves around a battle between good and evil. The characters can range from everyday heroes and bad guys to high-tech robots and machines. Most big-budget films are action movies, simply because of the cost involved in putting these blockbuster scenes together. 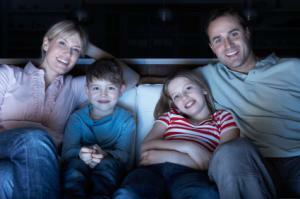 Family movies are for all ages. 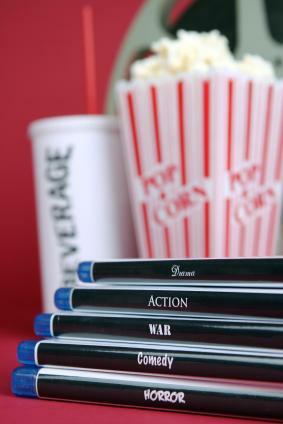 As a movie watcher, you can use these film genres to narrow down your search for an appropriate film to watch. Whether you're buying, renting, or streaming a movie, most stores and websites sort their titles by genre, making it easy to select the type of film you want to see. Though numerous movies fall into more than one category, the overall characteristics of plot, characters, and setting will usually place any film into a well-defined genre.